(LORSTA Attu, May, 1945.) SECTION III CHAPTER 2 The establishment of a three-station chain, plus a monitor station in the Bering Sea, is a good example of the other side of the picture. The seven-unit system on the Atlantic demonstrated the confusion resulting from "too many cooks in the kitchen." While a certain amount of confusion is bound to result when attempting the establishment of any station or outpost in the Bering Sea area, due to the extreme climatic conditions, the speed and dispatch with which the first four Alaskan units were put into operation is a tribute to the coordinated efforts of the Coast Guard, the Navy and the Army. It is perfectly obvious from the start why all three services would necessarily participate in such a project. The U.S. Coast Guard was by this time possessed of full responsibility for the operation and maintenance of all Loran units under the jurisdiction of the United States. The Navy, however, was the prime user of Loran at sea, and the service most interested in obtaining speedy service from it. The Army had not only been in possession of the various points in the Alaskan and Bering Sea Area which they had wrested from the Japanese, but had to remain in some force in that area to maintain these outposts. Therefore the Army would often be the neighbors of the U.S. Coast Guard units. Interference with their communications systems already established had to be avoided at all costs. In addition, the army already had near several sites, much of the heavy construction equipment necessary in the construction of the units and by borrowing this from the Army, the Navy and Coast Guard could avoid transporting such equipment into the area, where transportation is a major problem. Practically all air transportation during construction was by courtesy of the Army. In fact, the liaison between the various services was so excellent that within five months from the issuance of the Navy directive, some of the units were on the air. An excellent example of interservice cooperation will be found in excerpts quoted from Lt. J. F. Martin's reports, later in this chapter. As soon as the Navy directive calling for the establishment of the first three Loran units in the Bering Sea area was received by the United States Coast Guard activity began to assemble construction equipment, supplies, etc., in Seattle for early shipment of the sites. 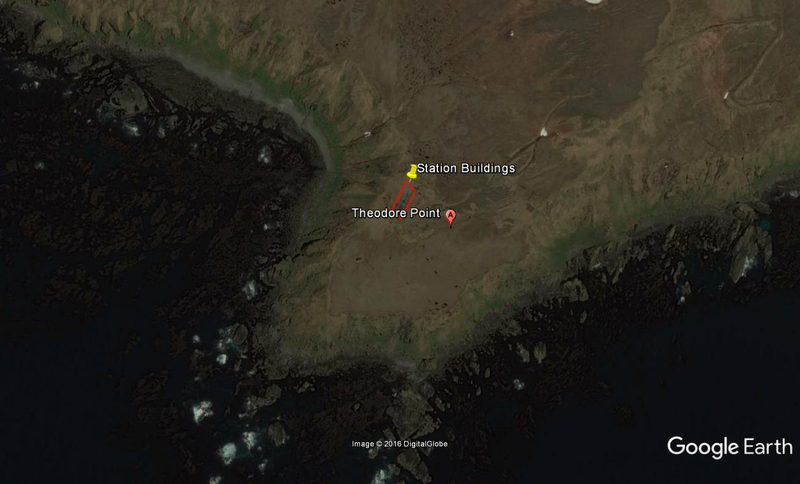 These first sites were located on St. Paul Island, St. Matthew Island, Umnak Island, and a monitor to be established at Cape Sarichef. The code names given these units in the order listed above were: peter, mike, uncle, yoke. 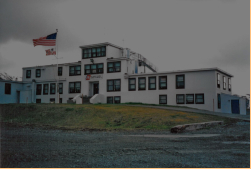 Since the locations for a number of the proposed Aleutian Station were in the forward and remote areas, and also because of the unsatisfactory progress made by the employment of civilian contractors for general construction work it was necessary and obviously most practicable to organize a special construction detachment to perform this work. A group was formed of selected enlisted men and officer personnel who were qualified by their pursuits for the many types of construction work required. Five civil engineer officers were assigned by the Chief, Civil Engineering Division for duty with CG Unit 26 (Condet Able) which was to undertake the construction of the Aleutian and Bering Sea Chain of stations. Lt. James Cournow, USCG, was placed in charge of procurement of all material and equipment at Headquarters, under Capt. Gill and Admiral Johnson and Lt. J. F. Martin, USCG, was designated as Commanding Officer, Coast Guard construction Detachment and made his early operating base Seattle and later Dutch Harbor. Shipment of material equipment was begun in February 1943 to the West Coast. Commanding Officers for construction and operations were selected and departed for Seattle also in February. Throughout the month of March and early April all cargo designated for the projected units was assembled, checked and prepared for further shipment. Much of the construction equipment and tools was obtained from the Seabee advance base stock already in California. The Army contributed some special foods and clothing that its logistic experts had already developed for life on the northern islands. On 12 April loading was begun and the liberty ship which carried the first cargo of equipment, the USS JONATHAN HARRINGTON, with about 100 Coast Guard construction and technical personnel on board, sailed shortly thereafter. According to the account given by Lt. J. G. Permar, Civil Engineering Div., USCG, who sailed with her in charge of construction for Mike, they had an eventful trip. En route to Kodiak, the vessel had a submarine alert, which after all hands standing battle stations turned out to be a whale. The ship stopped at Kodiak to unload some cargo and the Coast Guard personnel had two days liberty ashore there. Then on Easter Sunday, 25 April the reached Dutch Harbor, where unloading began at once. The unloading was concluded within two days. The CGC CLOVER had been assigned to assist in transporting the cargo on the sites and the cargo was transshipped onto her with all speed. Then bad weather set in and the CLOVER did not sail until early May. Expediency has its virtues as shown in the following excerpt from Lt. Martin’s report of 19 May 1943: "On 16 May the cutter CLOVER sailed for site P-3 (Mike.) At this time she was towing the small tank landing barge (borrowed.) When about 12 miles at sea the barge was capsized owing the excessive towing speed, which was ten knots. Efforts were made to right the barge at sea, but owing to conditions (climatic), this could not be done, and upon orders of the writer it was towed back into the harbor and beached. With the use of a large tractor it was righted and work was commenced immediately to tear down and clean the engines. This work is progressing favorably and it is estimated the barge will again be ready for use about 24 May. "With the idea of getting work started, the CLOVER was ordered to sail for site P- 1 (Peter) which she did at 0900 17 May. She arrived there at 1023 18 May and work of unloading was started immediately. A dispatch has just been received stating that his work was completed, and she is returning for the second and final load of supplies. With the assistance of the Army detachment on the island a road has been started from the landing along the bluff on south side of island to site. There are about 300 men (Army) with considerable mechanical equipment in this detachment and full cooperation is being given. Coast Guard construction personnel to the number of thirty were taken on the first trip and these men are remaining on the job under the direction Ensigns Permar and O'Meara." Thus it happened that Ensigns Permar and O'Meara who were originally destined to handle construction on St. Matthew, ended up by building the unit on St. Paul instead with a saving of time and effort on the part of all concerned. The cooperation of the Army detachment mentioned above is also representative of all the detachments stationed anywhere near Loran sites in the entire area. Ens. Permar stated that another reason for diverting the original construction unit from Mike to Peter was that following the capsizing of the barge; a wire was sent the Army at St. Paul requesting the use of a lighter. The Army replied that they could supply one for unloading there and with the aid of the Army the CLOVER was unloaded within twenty-four hours after arrival at Peter. The unloading point on this island was near a native village, which had just returned to their homes in the village a few days before the arrival of the CLOVER. They seemed very glad to see the Coast Guard arrive greeting them as old friends and expressing pleasure that a station would be on their island. The materials at Peter were trucked for five miles over a road, then moved the last three miles to the site in borrowed Army tractors and track type trailers. The construction camp was set up at the three-mile point where the Coast Guard personnel lived in tents, using an abandoned fox trapper's shack as galley. All land for the first three sites had to be obtained from the Secretary of the Interior, by the Secretary of the Navy, as the sites were situated on either grazing rights or wildlife sanctuaries. Silver and blue fox, reindeer, and Kodiak bear populated the island and one unit required telephone repairs rather often as the reindeer persisted in knocking down the wires with their antlers. The use of the sites by the Coast Guard was granted for the duration and six months thereafter. The construction and installation of this particular unit proceeded with no undue hardship on the part of the Coast Guard crew. The main difficulty was encountered by the CLOVER, which found it difficult at time to maintain regular unloading schedules at all the sites as the weather was always so uncertain in that region that of ten she had to stand off for fog, and Peter, Uncle, and Yoke had their share also. Within ten minutes so variable was the weather; the same spot would experience bright sunshine, rain, then snow, and then fog. It seems unnecessary to cover in detail the construction of each separate site in this chain as construction proceeded almost simultaneously at all four points, and difficulties encountered at one would probably be duplicated at some time at all of them. 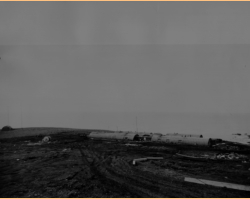 It was necessary at all four of the sites to remove the layer of muskeg before building, as the muskeg was so spongy that no permanent erection could be anchored to it. This was done with heavy Army "cats" and tractors. Special precautions had to be taken in the erection of the antennae, as the winds there are forceful and special guying was advisable. Often in the water supply proved a problem, which in some cases was overcome by chlorination of the local supply or in others by the use of evaporating units. Unlike the situation of the men constructing the original Atlantic Loran system, the Coast Guard personnel in the North Pacific area suffered no shortage of food, medical supplies, necessary construction supplies, etc., due to the excellent combined logistics of the various Services participating in the program. Their buildings were weather tight, their clothing was correct and adequate; they did not have to await the pleasure of civilian contractors for the installation of their plumbing, and health and morale were reported as uniformly good. On 4 July 1943 the Coast Guard crew stationed at Peter played the Army construction outfit at softball. Army won. It is a tribute to excellent personnel work on the part of both the Army and Coast Guard officers stationed on these islands that the personnel maintained such harmonious relations, especially since the Coast Guard mess equipment and sometimes pay exceeded that of the Army. While the Army, as has been shown, gave all possible construction aid, more difficulty was encountered on some of the other islands in landing supplies and equipment than at St. Paul. In some cases, the harborage was nil, in other williwaw conditions prevailed and in others the site was extremely difficult to reach from the landing point. However, all things considered there was a minimum of friction delay and discomfort. Credit should be given the Commanding Officers and Construction Officers of the U. S. Coast Guard who drew this first all-service assignment for their tact, resourcefulness, and efficiency. The original officers for the first three units established and the monitor were as follows: St Paul - "Peter" Construction - Ens. Permar Commanding Officer - Ens Albert J. Preston St. Matthew - "Mike" Construction - Lt. (jg) Horder Commanding Officer - Ens. Barwick Umnak - "Uncle" Construction - Ens, J. J. O'Meara Commanding Officer - Ens. Drouin Cape Sarichef - "Yoke" Construction & Commanding Officer - Guy Bellinger, CRM During the construction period, all personnel were under the jurisdiction of the Officer in Charge of Construction Detachment, USCG, Lt. Martin at Dutch Harbor, Alaska. When test operations began the operating officers and crews came under the jurisdiction of Lt. Comdr. Amos, USCG. It should be noted here, though without undue emphasis that the original Commanding Officer of Uncle was considered unqualified, before construction began, by Lt. Martin and Headquarters was so informed. He was shortly replaced for this duty by Ens. Drauin who carried out the major part of the installation of technical equipment and put the unit on the air. Mention is made of this situation only for the reason that it emphasizes the necessity for careful selection Personnel for all such specialized assignments as much time and effort can be lost when such care is neglected at the start. Ens. O'Meara did not remain long at Peter, but proceeded to Umnak as soon as weather permitted and carried out construction operations there. By July 15 1943 Peter was ready to go on the air test and Ens. Permar departed on that date on the CLOVER to Dutch Harbor. Here he picked up a load for Uncle and upon reaching there remained supervising construction for about a month until the unit was ready to go on the air. With the order to construct these units, the decision was also reached by the Navy to relieve NDRC of the onus of equipment production. This was effected early in 1943 and technical equipment thereafter for all Loran units was obtained through BUSHIPS. With this move, the last connection between NDRC and the establishment of Loran units was beginning to be severed as Mr. Fletcher Watson formerly Secretary for NDRC and an accomplished astronomer, accepted a commission in the U.S. Navy and as Lt. Watson of Hydrographic covered the charting job. It is of interest to note so poorly had the Bering Sea Islands been shown on all available charts, that when the Loran Units went on the air testing there true fixes proved the location of the various islands on existing charts to be as much as several miles in some cases, out of position. For that reason Hydrographic Office, USN has found it necessary to Loran re-chart practically the entire area. 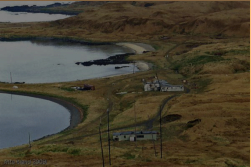 In July, 1943 a site survey party covered the Aleutian Islands and selected sites for three more units of Loran at Amchitka, Attu and Adak, as Dutch Harbor was considered too far away for efficient correlation of activity. It is not good historic practice to record the good and omit the bad when giving a true record and therefore it must be admitted that although conditions and delays were much worse in the Atlantic chain, the Pacific chains were costly in loss of life. Although Mike had been listed as expendable it was not believed that any of the losses of personnel in the Pacific area were due to enemy action though there is some doubt in one case. During the testing period of the units, five enlisted men were lost. Mystery still enshrouds the loss of these men who set out from Mike in a small boat for a shoreline trip to an Army weather stations some nine miles away. Ensign E.T. Barwick, USCG, C.O. at Mike reports as follows: "At 1500, 20 September 1943 boat crew consisting of HAGLUND, Floyd O. (220- 806) RM1c, BREIMO, Elmer O. (538-953) Cox. (r), HAGEN, Edward C. (584-147) RM3, SCHMOLL, Kenneth H. (506-786) RM3 (r), and MACLAND, Thomas L. (636- 878) Sea. 1c (r), departed from this station.....the boat crew's orders were to pick up a small gasoline engine generator formerly used by Army weatherman in transmitting weather reports to St. Paul Army Garrison." The men, boat, and all equipment in the boat disappeared without a trace. Searching parties were sent out along the shore to the destination of the boat's crew and search was also made along the beach and by boat. 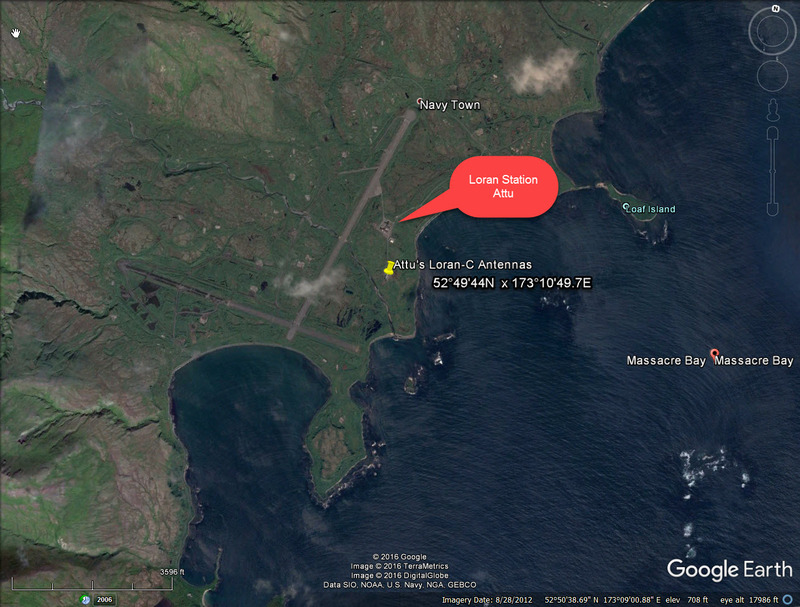 At 1338, 24 September, a PBY dispatched from Adak joined the search but to no avail. Two other paragraphs from Ens. Barwick's report may or may not be significant. However they are worth quoting in absences of any conclusion proof of the exact fate of the men: "There is slight evidence that the members of the boat crew might have met with enemy action been taken prisoners." And...."As yet there is no evidence such as floating oars, lifejackets, pieces of wearing apparel or boat having washed ashore." "YP 197 advised at 1400, 28 September 1943 there their searching party had found a 5-gallon oil can floating between Pinnacle Rick and this unit, which was later identified as fuel can used in surf boat in which boat crew departed." Also strange human footprints were found at this time on this uninhabited island. In addition, these paragraphs to make the mystery more complete: "In making trip to the Army site via water it is unnecessary to navigate more than 200 yards off shore at any time and men were under orders to keep within this limit, as the writer made the trip several times with Haglund and Breimo instructing them which course to pursue." "At the time the boat crew departed, the sea was calm and no difficulties were encountered when launching boat through the surf." Unlike earlier Loran construction parties, ConDet "A" arrived at the Western end of the Aleutian Islands during the latter part of 1943 with an outfit that the Japanese may have had in mind when they complained of the "Unsportsmanlike conduct of the war by way of vulgar display of wealth." However, the job was being undertaken at the worst time of year in order to make Loran in dire need of such service in the western Aleutians. This auspicious beginning, however was literally "the calm before" so many storms that the Aleutian construction detachment began to think they had been assigned to "Hell's Corner". Men and materials began to arrive at sites 62 (Adak) [sic], 63 (Amchitka) and 64 (Attu), beginning in early November 1943. Liberty ships and the Coast Guard cutter CITRUS did the transporting. The Liberty ship GEORGE FLAVEL left Seattle 24 October and arrived at Adak 18 November. The Liberty ship McKENZIE with material and some personnel aboard arrived at Attu on 3 December after stopping at Adak and Amchitka on the way. Since the Aleutian Islands are conceded to produce some of the world's worst weather and since the coastline in that area consists mainly of mountainous jagged rocks standing on end, swept by violent tides, currents and monumental surf all landings were "by the grace of god" and extremely hazardous and precarious. 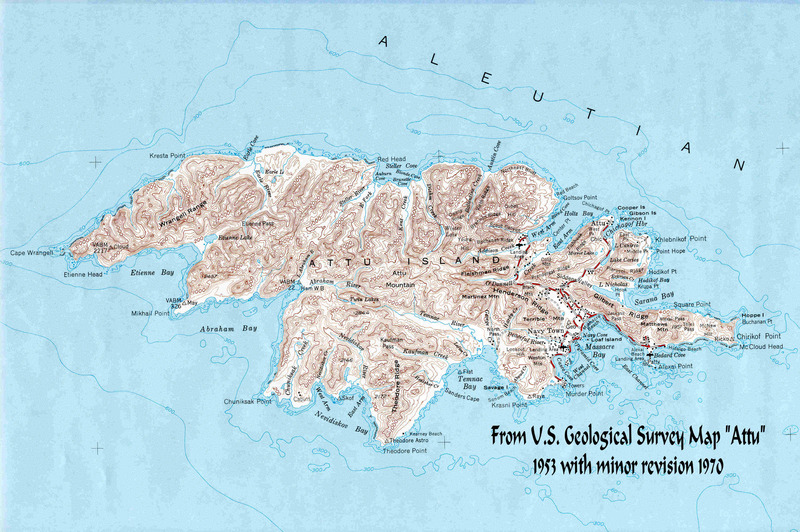 Attu undoubtedly presented the largest and most varied collection of climatic and physical difficulties of the three Aleutian sites, so that a detailed description of the construction there will encompass all hazards encountered in the entire Aleutian operation. According to Lt. Comdr. Russel Yates, USCG, C.O. ConDet "A" the lack of warehouse space and spare huts on Attu on arrival was acute. The Coast Guard construction crew was immediately forced to erect three Quonset huts for storage space at Massacre Bay, with material furnished by the Sea Bees there. Then the first section of the construction party left for site 62. They established a temporary construction base camp at Baxter Cove, since the site survey party had selected this spot as the only place anywhere near #62 where landing might be possible. Wooden barges brought to Attu, to be used in unloading operations "were found unsuitable for this location", a mild way of stating that they were smashed to matchsticks on the rocks in the surf. Those left were traded for a 5x7 steel pontoon type barge with removable sections, which is being extensively used by all armed forces in landing operations. These pontoon barges, or "Admiral Laycock's cigar-boxes", are the only type of equipment which can withstand such a shoreline, since two-thirds of the section can be punctured on rocks and they will still retain their buoyancy. Tents, mess hut and Loran transmitting equipment storage hut were erected during the usual foul weather and the ubiquitous "Cat" was started on the construction of the two and half mile road to the site. Lt. Cmdr. Yates gave the high points of this killing two and a half miles in a few succinct paragraphs when he said: "The first five hundred feet of the road took us through an Aleutian cemetery located under a dummy gun emplacement that the Japs had abandoned a few months before. Desecrating an Aleut grave is a serious offense, but we were unaware of it until we started turning up human skulls and bones of prehistoric animals which had been in turn, buried deep below ivory trinkets and tons of bird and fish bones." "Another midway tent was erected a mile and half from Baxter Cove to serve as a mess hut and shelter during round the clock work on the road." "After consultation with the aerologer, it was decided to unload a large portion of the building materials on 24 December. And other 5x7 steel pontoon barge was borrowed from the CB's and in company of the CITRUS, both barges arrived off Baxter Cove shortly after noon of that day. A heavy ground swell made unloading from the cutter to the barge precarious and the unloading was further delayed by increasing swells and a weather report that a sudden squall was headed our way." In spite of conditions becoming rapidly adverse, both barges made the beach about sundown and temporary floodlights were rigged. Unloading operations continues all Christmas Eve and until noon on Christmas Day. By then, heavy seas were tossing the barges around on the rocks men were escaping death by a hair every other minute in an effort to complete the unloading and the confusion that existed was like 'midshipmen on watch.' "The storm increased in intensity and the CITRUS was unable to maintain her anchorage, (there is very little good anchoring bottom in the Aleutian area), and was forced to return to Massacre Bay for shelter. All hands ashore, which included some of the CITRUS' crew, remained there until the storm subsided, 2 January." Most of the materials were carried to the site from Baxter Cove on a barge sled, made by the crew and pulled by the "Cat". The road was formally christened Hooligan Highway and when completed was quite one of the engineering wonders of Attu. The antenna poles were rafted and towed to Baxter Cove, then hauled over Hooligan Highway by the "cat" to the site. Because of the sharp turns in the road, a switchback donkey winch had to be employed. Throughout all operations winds sometimes reaching velocity of 125mph raged and snow twelve feet in depth paralyzed vehicular traffic for days. Only the power line survived the storms and the days were filled with the struggle to push construction and at the same time repair constant storm and wind ravages. Site 62 was out of touch with Massacre Bay for five days in early February. During that time the crew erected several 90' antenna poles in ideal calm weather. It was later learned that the Massacre Bay area only fifteen miles away had been swept by a five day storm with 125mph winds. Mail had to be dropped at the site from a plane as landings at site could only be made during the best of weather, which was so seldom it would furnish food for conversation for days afterwards. The armed services paid dearly in loss of lives for tenure of the Aleutian Island. In the same storm which struck Massacre Bay, nine men were lost on an ATS tug which went down only two hundred feet from the Army dock with the help unable to reach them from the shore. In all the Army lost approximately fifty men during January and February of 1944 in landslides and to the sea. At Attu, the Coast Guard was frequently called upon by the Navy COP to assist in rescues and salvage work. The CITRUS took nine men off a swamped ATS tug without loss of life and then sank the dying tug with gunfire. She also assisted in getting the Liberty ship off the beach where it had been driven in a severe storm. The members of the Coast Guard construction crew at site 62 removed nine more Army men from a battered ATS power barge and received a commendation for their gallantry from the Commanding General of the Area. Such rescue and salvage work could have become an all-time job for the personnel for the Coast Guard in the vicinity, if they could have spared the time from their regular duties as in addition to the fiendish weather, the harbor at Attu was very poor with little shelter and a bad "holding" bottom. Site 62 was located on a saddle of the hills, at an elevation of twelve hundred feet. It required the use of bulldozers to reach it with materials and the employment of switch backs due to the terrain and steepness of the slopes. William A. Baughman, Sea. 1c was killed on the stitch back when the "cat" slipped out of gear and rolled over him on its steep descent to the edge of the bluff. The Coast Guard paid for Aleutian Chain with other lives too. Ensign Johnson, C.O. of unit 64 was killed when the PBY he was in crashed making a landing in Dutch Harbor. He was engaged in running baselines when it happened. Another plane a Coast Guard PBY with its entire crew was lost without trace, near Point Heiden, while returning to the States. With all these misfortunes and all nature leagued against them the Construction crews in the Aleutians did a magnificent job and in an amazingly short time. Three months after the landing at Baxter Cove the construction crew were gradually beginning to be returned to the states. The last man left the Aleutians about 15 March 1944 and the regular operational crews took over. 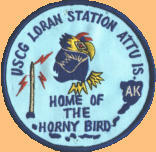 After extensive testing operations all three stations were commissioned 18 May 1944 and turned over to the jurisdiction of the Aleutian Representative at Adak, Lt. Bob Kersten. The great significance of the construction feat in the Aleutians lies obviously in the fact that in spite of the most adverse conditions the Coast Guard working with the cooperation of the other armed services can erect short lengths of time. A tribute indeed to splendid organization and the staunch determination of the personnel engaged worthy of the tradition of the United States Coast Guard at its best. at Casco Cove near Massacre Bay. Closed August 2010. British were also working on a similar concept, but had no information on its performance. aware of their work on "strobes", a time base generator that produced well-positioned "pips"
stations followed, covering the European side, and then a massive expansion in the Pacific.